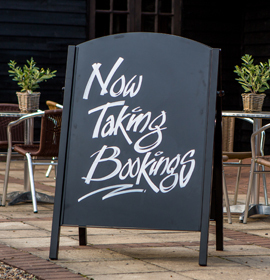 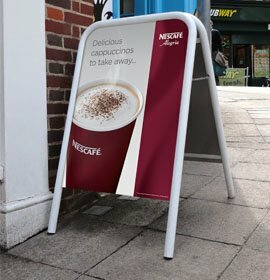 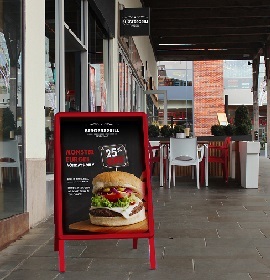 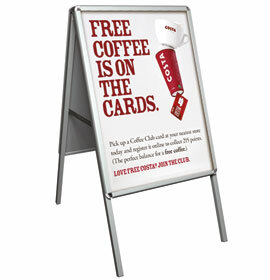 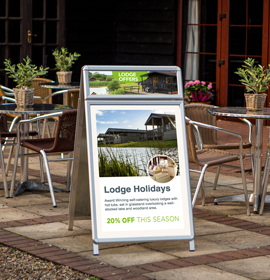 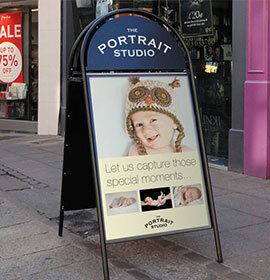 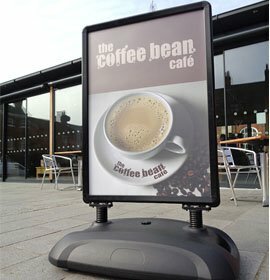 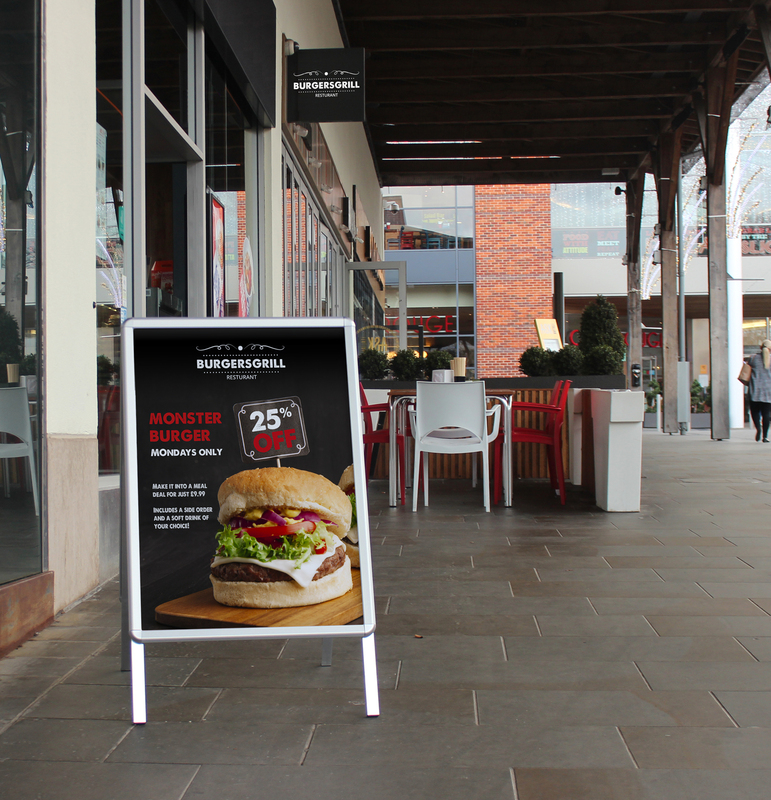 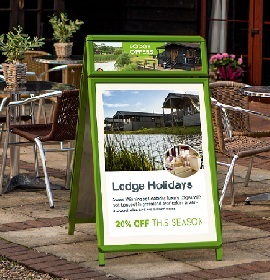 The biggest selling A-Board on the market place. 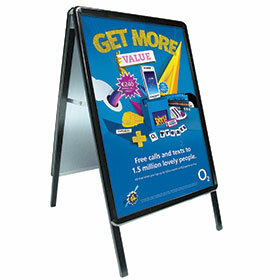 Also available with additional header display area - the A-Master Plus. 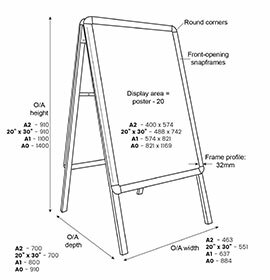 A2 A0 30" x 40" 700 x 1000mm 500 x 700mm A-Master Plus (A1 with 594 x 196 mm Header) A-Master Plus Custom A-Master Custom A1 20" x 30"
Description All your A-Master and A-Master Plus will be sent as individual units by parcel delivery. 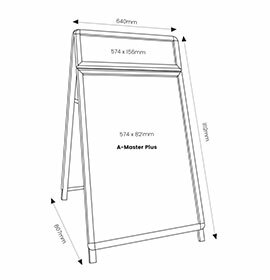 Your A-Master and A-Master Plus will be sent in two separate deliveries – one by pallet, one by parcel. 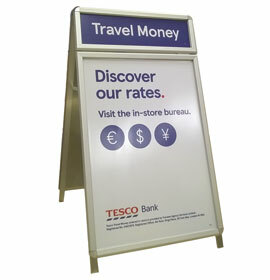 A-board with front opening Snapframe poster panels. 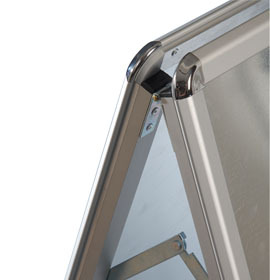 Front opening aluminium snapframes with rounded corners for safety (32mm profile). 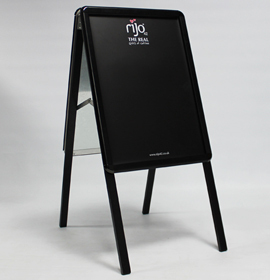 Available in silver anodised or black powder coat finish from stock. 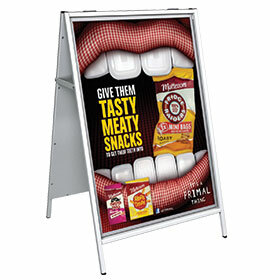 ‘Fold flat’ design – easy to move and store. 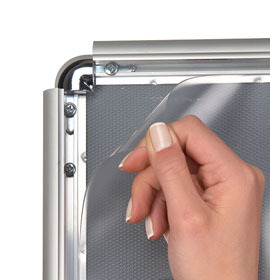 A-Master Plus features an additional 594 x 176mm snapframe header for a premium display.